For adoptive families—and hopeful parents—living in New York. Families formed through South Africa adoption groups? Registration is now open for the ninth annual Forever Families Weekend for Jewish Families Touched by Adoption - June 9-11, 2017. For more information, visit the website at https://njycamps.org/family-camp-2/forever-families/. Playgroups for 5-9 Year-Olds, Tween Peer-Support Group, Teen Mentor Program, Parent Discussion Group Four Sunday Sessions: 3:00-4:30 PM: Sept 25, Oct 23, Nov 13, Dec 4, 2016 Union Temple Preschool, 4th Floor 17 Eastern Parkway Brooklyn, NY 11238 For more information and to register, please visit our website: http://www.alltogetheradoption.org. Adoption Playgroups for Children, 5-9 years old Fun, multiracial playgroups, facilitated by adult and teen adoptees for adopted kids from a wide spectrum of backgrounds. Themes around identity, family and friends are explored. The groups provide a “safe space” for kids to build relationships within the adoptive community. For Tweens A peer-support group for 10-12 year-olds that embraces issues, as they come up, in a fun and nurturing environment. The group is facilitated by an adult adoptee, and offers tweens the opportunity to connect and chat about “what is really cool �” and may not be so cool �” about being adopted.” For Teens The Teen Mentor Program creates opportunities for 13-18 year-olds to facilitate peer supportive playgroups for children, ages 5-9, while acting as role models. Our adult adoptee team, in turn, provides supervision and support to the teens to foster growth and exploration. Carfare and community service credit are available. For Parents ATN provides a space for adoptive parents to gather, connect, share resources and discuss adoption-related issues.” Guest speakers will include Andrew Solomon, celebrated author of “Far from the Tree: Parents, Children and the Search for Identity” and Mike McDonald, host of “The Rambler” podcast. All sessions are led by an adult adoptee facilitator. 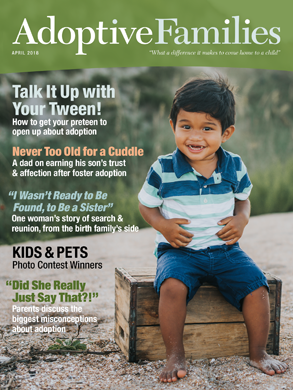 Who We Are At ATN �” now in its eighth year - we believe that adoption comes with unique developmental processes for adoptive families and that they differ from biological families for that reason. We particularly value the perspective of adult adoptees, seek their input, and support their concerns as an integral part of our program. We strive to create a community in which adopted children, teens and adults can determine their own experience and form supportive friendships among themselves. ATN groups offer support to children and parents. ATN is not a therapy provider. Hello, has anyone in NY used Larie as their attorney? Any feedback would be great! Thanks! Yaari started the discussion Families formed through South Africa adoption groups?